Is there an echo in here? There sure is, and it's the Neunaber Technology Echelon Stereo Echo pedal. There’s more to this pedal than meets the eyes and ears, though. After all, Brian Neunaber tends to pack all sorts of cool studio goodness into his little metal boxes. OVERALL RATING = 3.5 Stars. The Neunaber Technology Echelon Stereo Echo is a digital delay pedal with up to one second maximum delay time. It is a true stereo effects pedal, meaning there are two 1/4" inputs and two 1/4" outputs as well. There are three knobs on the face of the pedal marked Mix, Time and Repeats. 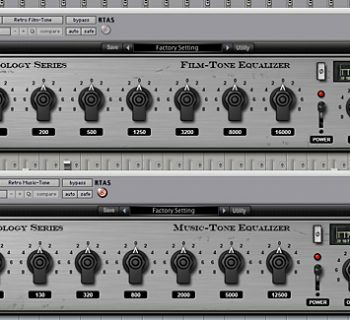 One of the Echelon’s unique features is its “Cross-fading Time Change,” which enables you to manipulate delay time without impacting pitch. Another great feature: the entire pedal can be reconfigured via Neunaber's Pedal Customizer software. A USB cable (included) and a computer connection is all that you need to run a simple application that lets you load a variety of custom mods into the pedal—or even load the firmware from another Neunaber effects pedal entirely if you grow tired of repeating yourself. However, many of the individual parameters are preset and cannot be manipulated, such as the amount of frequency roll off or modulation (presumably in order to preserve the “sound” of a Neunaber pedal). Scatter: Has increased modulation settings over the stock setting, and scatter repeats diffuse quickly and respond more like reverb. Soft Scatter: Like Scatter, but echo transients are softened and bloom as volume decays. Digital: Has decreased modulation in the repeats, and repeat trails are bypassed. The Echelon is a high impedance pedal with a buffered bypass, and it has a bright indicator light that is clearly visible from across a stage. There are two 3.5mm expression pedal inputs that can control the mix and time settings on the pedal. 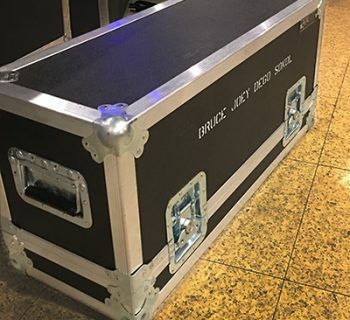 (Neunaber sells a quarter inch to 3.5 mm adapter on their website in case you were wondering about the usefulness of those jacks). The Neunaber Technology Echelon Stereo Echo does not run off batteries. A familiar, BOSS-style 9V center negative power adapter is necessary, but not included. Although you can plug the pedal into a power source and start playing in a matter of minutes, you'll only access part of this pedal’s fantastic capabilities until you check out the custom modification features. 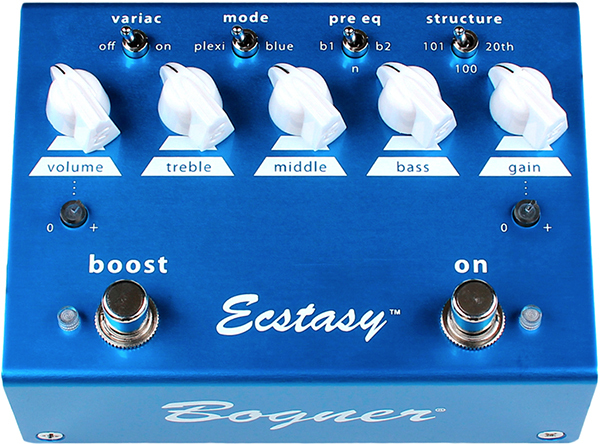 We tested this pedal through an Orange Rockerverb 50, along with a few other effects in the signal chain, and it was fairly simple to use out of the box. A power supply isn’t included (Neunaber provides a list of suitable power supplies from third parties on their website), but we had no trouble using our industry standard Voodoo Lab Pedal Power 2 Plus. Operation was as straightforward as you’d expect, only better. We discovered—and appreciated—that holding notes and manipulating the Time knob on this pedal changed the time value of the repeats, but not the pitch. Awesome! We installed the free NT Pedal Customizer application on our Macintosh in a matter of minutes. From the simple interface, we selected our Echelon pedal and had a choice of three pedal modifications that were installable with a single button press. 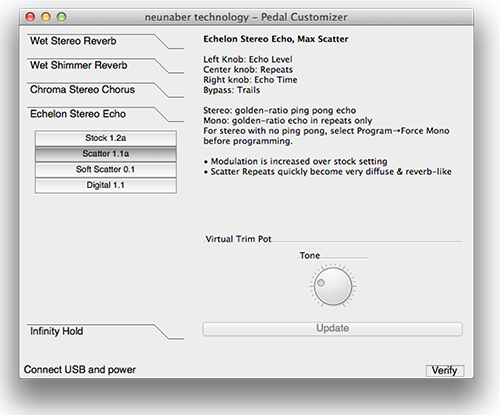 Neunaber's software lets you truly customize the pedal. We started with the pedal with all three knobs at twelve o'clock. The first thing we noticed was that at the twelve o'clock setting, the delay time was fast. We turned the Time knob all the way to the right to increase the delay to its maximum of one second. More economical digital delays have often sounded brittle, muffled, or otherwise unmusical. The Neunaber Technology Echelon Stereo Echo sounded quite the opposite. It sounded like it had an excellent mix of ever-so-slight modulation and frequency roll-off. 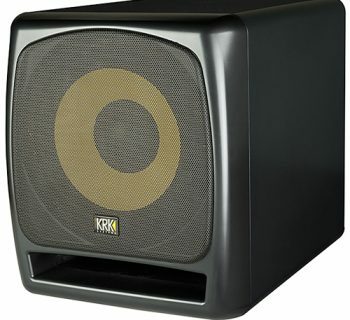 Pushing the Regeneration knob through its complete cycle, we could not push the sound into oscillation. Max regeneration stops just short of that. We took notice to the longer regeneration times: they seemed to have more high-frequency roll-off, but it never sounded muffled, even when pushed to the maximum settings. The actual tone of the repeats was very pleasing and maintained the true tone from our amp, both on the clean and dirty channels of the Orange. In short, the Neunaber Echelon delivers an organic and analog sound (despite the digital underpinnings), and it never gets muddy. The pedal is well documented on the box itself and online at the Neunaber website. Brian Neunaber provides a thorough manual for all of his pedals as well as quite a useful education on impedance, true bypass and other topics beyond the scope of this review. 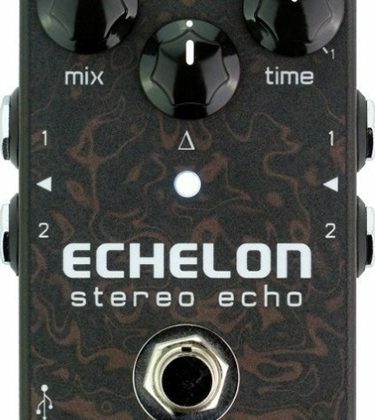 The Neunaber Technology Echelon Stereo Echo sells direct for $229.00. It’s certainly not the cheapest compact delay pedal, but you get a glorious sounding delay with studio fidelity and great tweakability, so it’s definitely worth your consideration.